"The turning point was Darkstalkers 2 for sure." Bun-Bun-Maru: We got off track though. So you've gone through all the fighting games. Daigo: Yes. Althgouh I don't play 3D fighting games. Bun-Bun-Maru: But I've heard a rumor that you played Virtua Fighter a little during a certain period. Daigo: Well, although I don't remember it clearly, I think it was Virtua Fighter 2.1. Virtua Fighter generally required ¥100 to be played at that time, but More, a game arcade in Shinjuku I often went to, allowed us to play it for ¥50. The discount was probably because Virtua Fighter 3 was about to be released. And as there was no 2D fighting game I wanted to work hard on just then, I thought "it's now time to try Virtua Fighter" and tried it for about a week. But Capcom released, probably, Capcom vs. SNK, so I eventually quit it though. When we had new 2D fighting game and 3D one at a time, I chose to work hard on the 2D one. Bun-Bun-Maru: I see. You've never played Tekken? Toyoizumi3kyodai: You've completely focus on 2D fighting games. 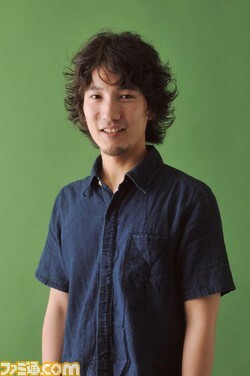 Daigo: Yes, as a result. Bun-Bun-Maru: You've played almost all the 2D fighting games including Guilty Gear. When was the point you started realizing "I've become stronger in fighting games"? Daigo: That was in Darkstalkers 2. At that time, I went to a game arcade called Bickyes(*) where Darkstalkers was hot when I was a 13 years old brat, so I think I was pretty distinct in such a game arcade. I was just an average player there. * Bickyes was famous for many competitive fighting gamers gathering there. It reportedly ran its business from 1992 to 1997. You can know about stories there by reading the comic "Daigo the Beast: Umehara Fighting Gamers!" Toyoizumi3kyodai: I feel nostalgic hearing the name of Bickyes. Gamest(**) used to introduce it. ** A magazine specializing arcade games, published from 1986 to 1999. It was loved by a lot of arcade gamers. Daigo: This is a story before that though, the fights in SFII there was very high level, and I learnt there like "oh I should fight like that," seeing it. After that, Darkstalkers 2 was released and I just did what I had learnt from it as it it... but I hella won for some reason. Now I know fights in the fighting games derived from SFII were low level. Because there was a routine that those players who couldn't win in SFII made switches to another fighting game. Darkstalkers had such an aspect as well. I was intermediate in SFII at that time, but I didn't lose in Darkstalkers 2 at all. So I thought "it's probably low level in this game," playing it. But I still got confident as I didn't lose at all, and was getting an understanding how to win. And after playing Darkstalkers 2 for a while, I returned to SFII and it turned out I could win quite a lot in the game. So I believe the turning point was Darkstalkers 2 for sure. Bun-Bun-Maru: Which of Darkstalkers series did you win the nationwide tournament in, Darkstalkers 3? Daigo: Yes. But, to tell the truth, I attended to the one of Darkstalkers 2 haha. Daigo: Yes. What is more, I represented the players and took the athlete's oath of fair play lol. But it turned out higher-ranking winners at a tournament held at Maruge-ya(***) would be able to attend the nationwide tournament, and I won the first place at that tournament. Then the organizer asked me to "take the athlete's oath of fair play as a representative of Maruge-ya." As I had never experienced that kind of stuff, I took the offer, like "oh, well, let's give it a shot." All told, the nationwide tournament of Darkstalkers 2 was the first nationwide tournament I competed in. *** A game arcade run by the said magazine Gamest. Toyoizumi3kyodai: By the way, which character did you use in Darkstalkers 2? Daigo: In Darkstalkers 2, I used... Pyron. Toyoizumi3kyodai: I heard a rumor that there was a super strong Darkstalkers 2 player in Akihabara. 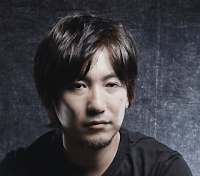 Daigo: Was that in Darkstalkers 2 days? Toyoizumi3kyodai: Yes. And although being only a junior high schooler, I went to Akihabara to see that strong player from the countryside in Saitama(****). Then what I saw there was Donovan with 70 winning streak lol. **** A prefecture on the north side of Tokyo. Daigo: That was me, without a doubt. Toyoizumi3kyodai: I thought you were lol, and also "his main should be Donovan" for a long time. By the way, where was your Donovan ranked among your characters? Daigo: Welp, around the seventh or eighth. Of course, Pyron was the strongest. Toyoizumi3kyodai: Really lower ranked lol. As we didn't have the Internet yet at that time, a man from countryside like me could win a lot in his home town by... like hearing a rumor, going out to Tokyo, seeing your play and emulating it. Kitaguchi: It was days like that. Toyoizumi3kyodai: You know, we had to go out to see strong players in person as we didn't have much information, unlike today. Daigo: I remember those days. We have to. Bun-Bun-Maru: Cuz those who Knew that kind of information would win. Toyoizumi3kyodai: Anyway, you maind Pyron. I didn't see it. Daigo: If I have to say whom I mained, that was Pyron. But, I used many characters and rarely picked Pyron. Toyoizumi3kyodai: There was a rumor of 250 or something winning streak as well. Daigo: That's true. Probably, like 286. Bun-Bun-Maru: Your Pyron was much talked about in Tokyo, wasn't it? Daigo: It was probably pretty famous. As being only a junior high schooler, I think it was intriguing. Bun-Bun-Maru: So, did you become nationally famous for Bishamon in Darkstalkers 3? Bun-Bun-Maru: I heard from one of my friends who played Darkstalkers 3 "there's a super strong player called Umehara," went down to the game arcade you went to, and played you in SF Alpha 3, picking Cody. Daigo: Oh, I remember that. If my memory is correct, my friend near me whispered "this is Bun-Bun-Maru," and I thought like "oh really." Daigo: I was impressed by you playing SF Alpha 3 despite being a Virtua Fighter player. And I remember as well that while playing, I thought like "oh, he made a wrong choice" as Cody was weak lol.